There’s nothing worse than getting a mile or two into your bike ride and realizing you’ve forgotten your water bottle. Having a hydration pack can help you avoid this situation and is great for storing other important items like your keys or wallet. 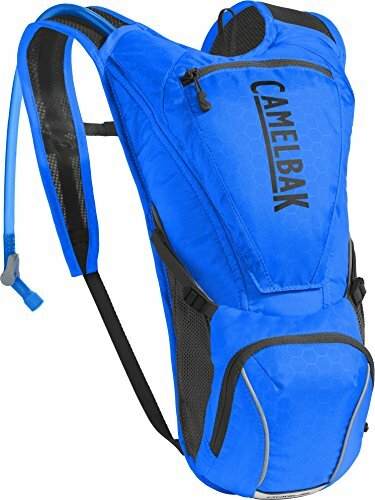 The best MTB hydration pack should be light, carry a lot of water and honestly, be somewhat stylish. They do have to fit into the mountain biking world after all. You’ll want to ask yourself what you’re looking for in a hydration pack. 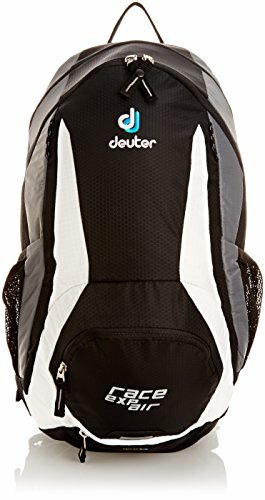 Do you want more of a backpack with a pocket for water? 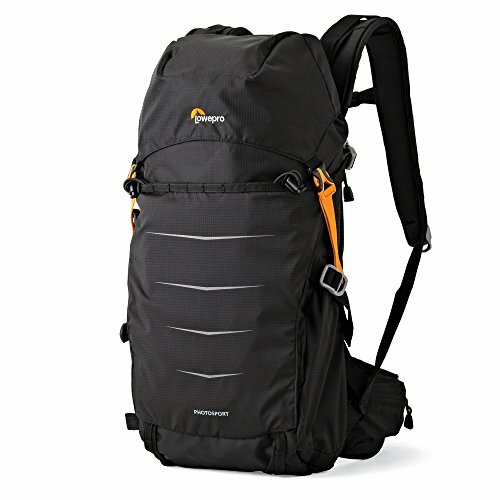 Or the smallest, lightest pack possible? Something that will last forever? 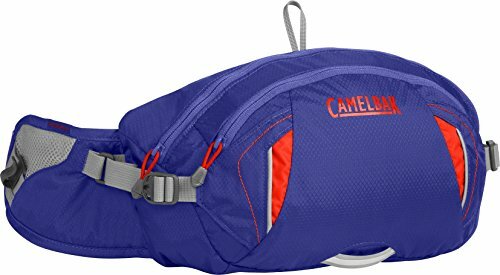 The good news is, there are tons of hydration packs to choose from so there’s bound to be one perfect for you. Hydration packs come in all different sizes. From a small, sleek pack that’s only meant to hold water, to one more akin to a day-hiking backpack that can hold all your personal belongings. 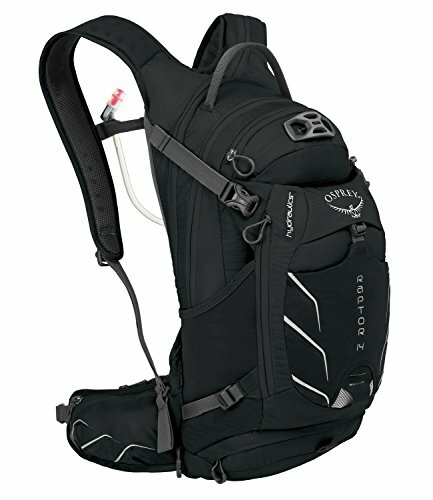 Size also includes how many liters of water your pack can hold. 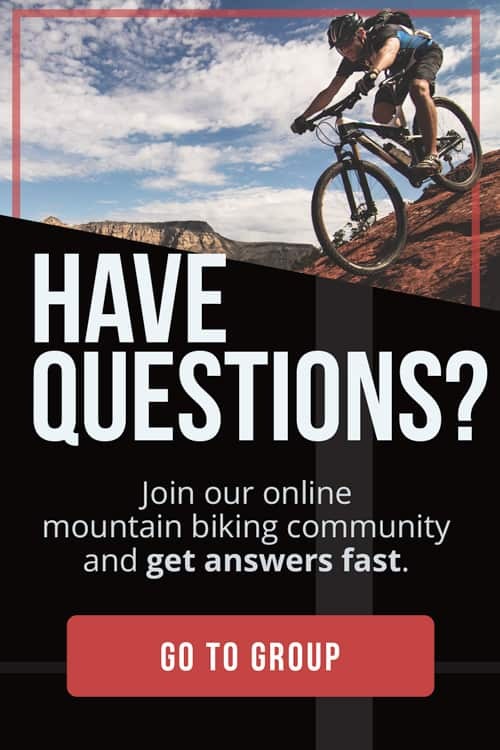 Are you going on a long bike ride? You’ll want more water, so you should opt for a 2L or 3L pouch instead of a 1L version. The reservoir (or bladder) is what holds your water, and they come in a variety of shapes and sizes. Some are soft and tend to sag inside the pack if you don’t have hooks to keep them in place. Others are harder and can hold their shape, but take up more space in the bag. Some packs are sold without the bladder, so you’ll want to make sure the one you have (or buy) will be compatible. Think about it. If you’re going for a long ride, you might not want a pack that weighs too much. This could tire you out and make your shoulders ache more than they have to. But, if you’re the kind of person who also drinks a lot of water, you’ll still need a large reservoir. You’ll need to decide which works best for you or find a bag with a lot of storage that also offers some breathability. You want to make sure the bag fits snuggly on your back to avoid putting too much weight on your shoulders. This is why most of the larger packs come with a harness to strap around your chest and waist. Some riders feel too trapped with this so they opt for smaller, less heavy packs. Storing your phone, keys and wallet in your pockets while you ride is a good way to lose them, so most people opt for a pack that has extra storage space to safely store their belongings. But, some riders are just looking for a pack that holds water and their keys. 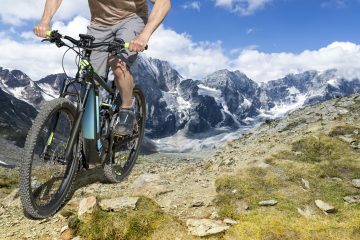 Others pair mountain biking with camping or overnight trips, so they’ll want a pack that can hold many travel essentials. Some packs even come with a helmet storage space for when you’re not riding. There’s a pack out there for almost everyone, even photographers. Mountain biking and photography are great hobbies to take up at the same time. 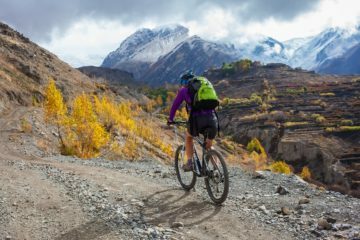 Mountain bike trails can take you everywhere – from the tops of mountains to the ocean side or even deserts, so it’s great to have a nice camera ready to snap pictures. 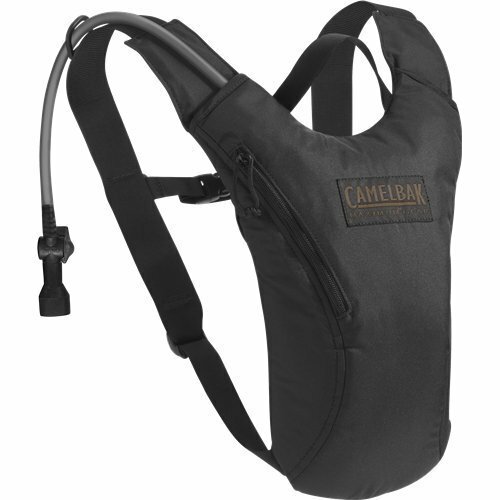 Recently, hydration packs have started featuring storage pockets specifically designed for cameras. This does make the pack considerably heavier, so you’ll have to decide if you’re willing to compromise. 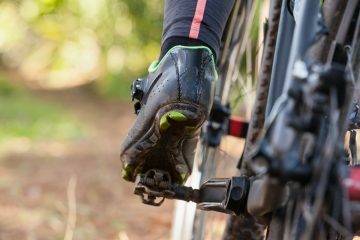 Mountain bikers know it’s easy to hit bad weather when you’re riding. A little rain never hurt anyone, but it can hurt your belongings if you don’t have a waterproof pack. Luckily, nearly all of them are made with some sort of waterproof covering either on the outside, inside or both. Some even come equipped with hoods. 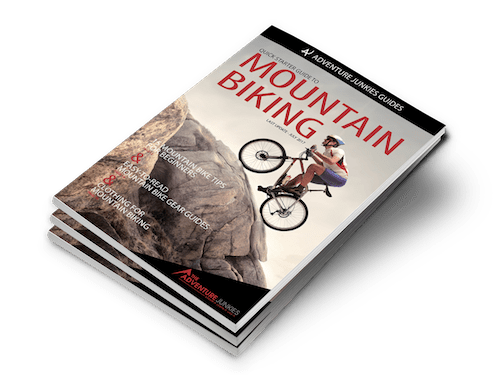 When you look at mountain bikes or mountain bike equipment and clothes, you probably noticed that there’s a certain element of style to them. And why shouldn’t there be? After all, mountain biking is a cool sport. 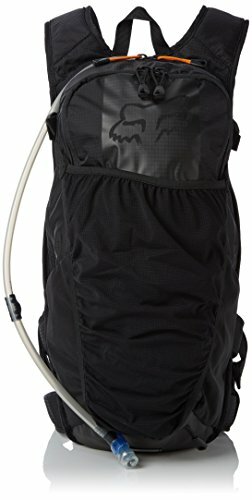 Hydration packs aren’t left out in this aspect. Most of them feature bright colors and patterns that blend in nicely with helmet and bike designs. That being said, if you’re looking for something simple and not flashy, you can always find those as well. Those could even be bought usually on a budget.